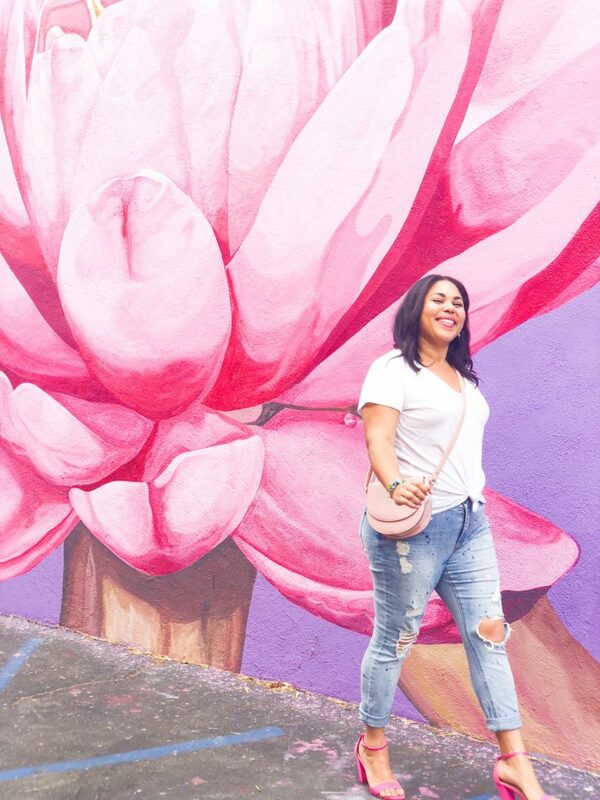 A few weeks ago while I was browsing online for new fall clothes, I saw the cutest pair of paint splattered jeans. They were a little bit out of my price range (~$100), but I loved them so much and really wanted a pair for myself! I already had a bunch of different acrylic paints at home (because I LOVE to paint! 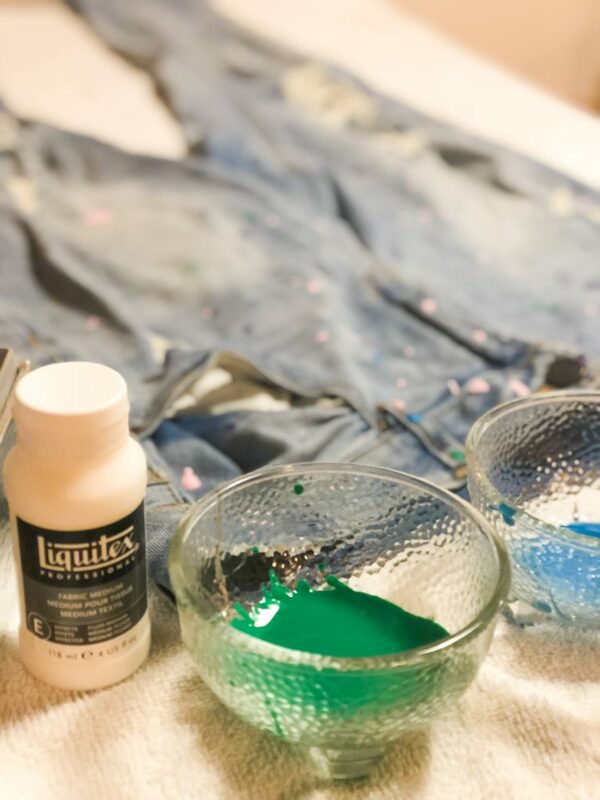 ), so I figured that I could save a lot of money by doing a little DIY project to make my own paint splattered jeans! 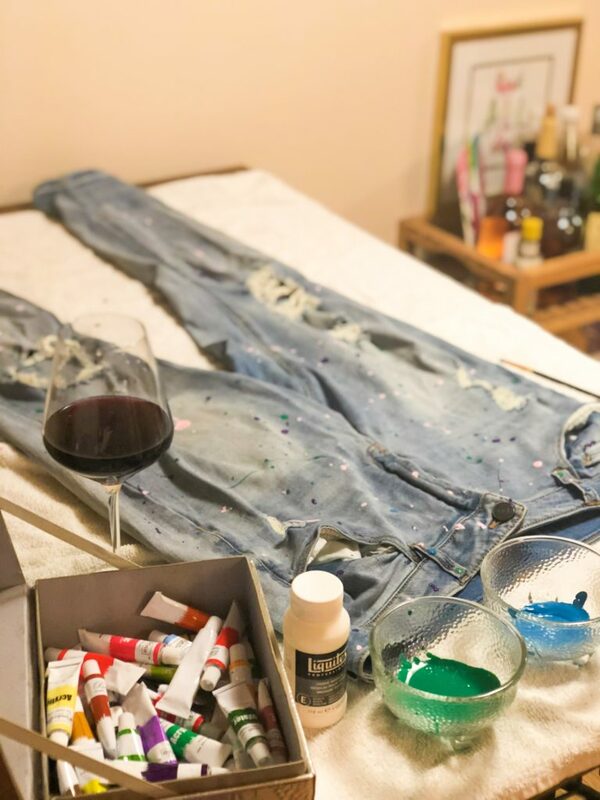 After a quick Google search, I found several different articles on how to paint your jeans, and off I went. 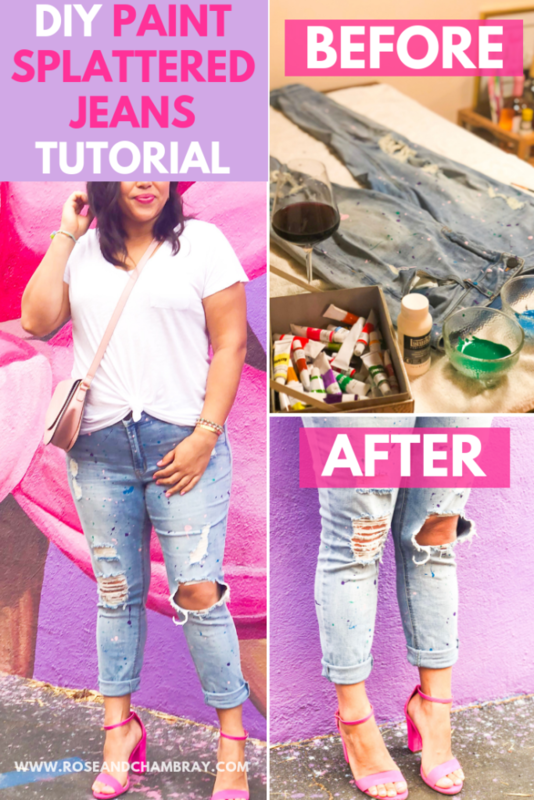 In a few easy steps, I upcycled a pair of old jeans into a fresh, stylish pair of paint splattered jeans, and you can do the same for under $15. 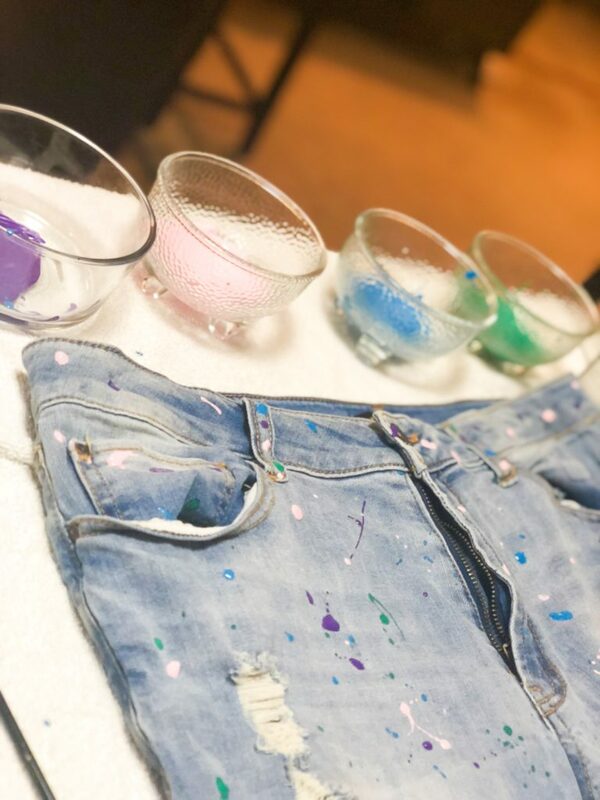 Keep scrolling to read about how to make your own pair. Acrylic paints of choice, $2. I also found this paint set for $9, and I got my paint + brush set at Ross for $6. 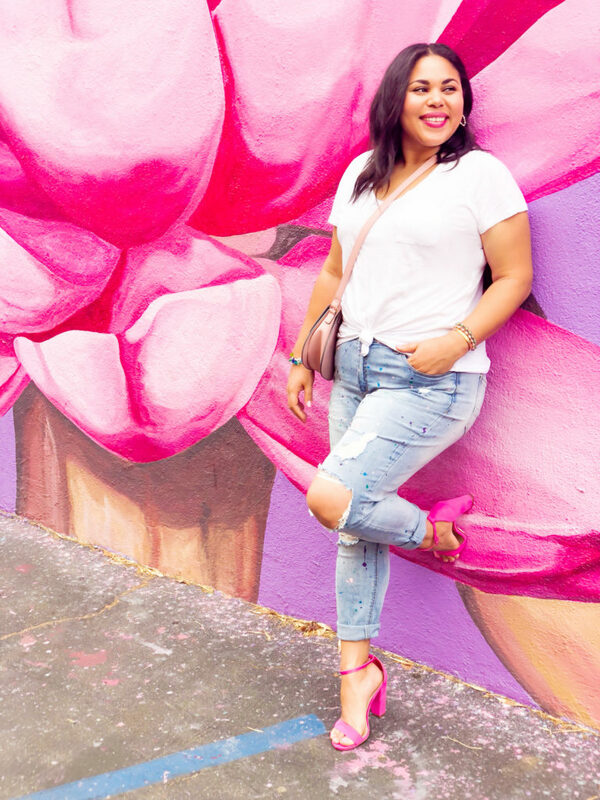 Pair of jeans (see why I only wear high waisted jeans here). I recommend picking a lighter style so the paint pops! Old pen, pencil or skinny-tip paint brush. Old news papers or towels to contain the mess. Bowls or plate to mix your paint. 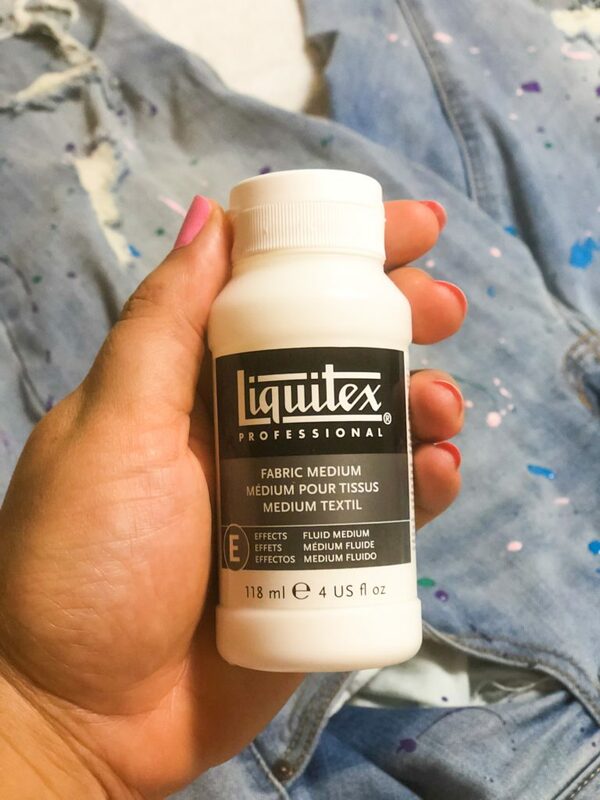 Mix your acrylic paint with the fabric paint medium. The mixture should be about 1:1, but read your particular medium for directions. Spread out newspapers or towels on a flat surface. Place jeans on protected surface. 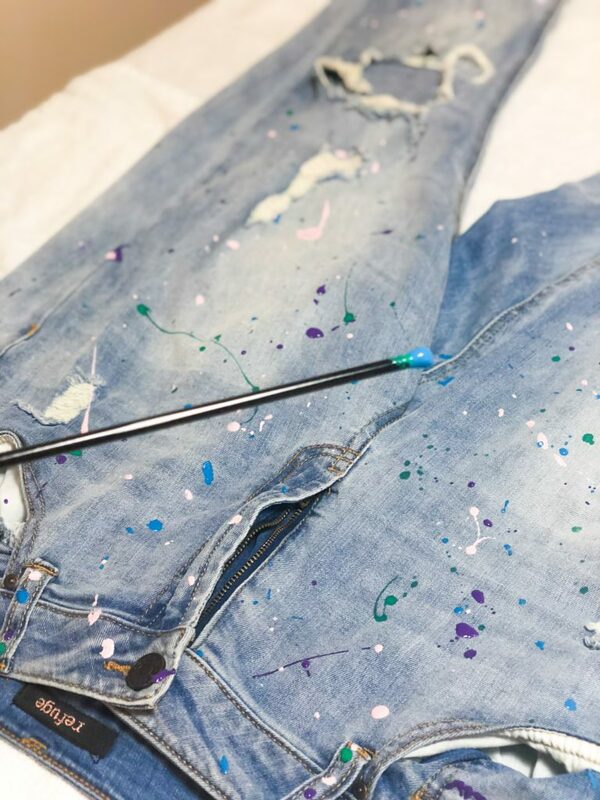 Dip tip of thin paintbrush (or pen/pencil) into ONE paint mixture and splatter (with the flick of your wrist) the paint onto one side of your jeans. Rinse off paint splatter tool and repeat this step for additional paint colors. Let painted side of jeans dry for at least 12 hours. Cover paint containers with Saran Wrap or lid to prevent drying out. Repeat steps 1 through 4 on other side of jeans. Let dry for another 12 hours. 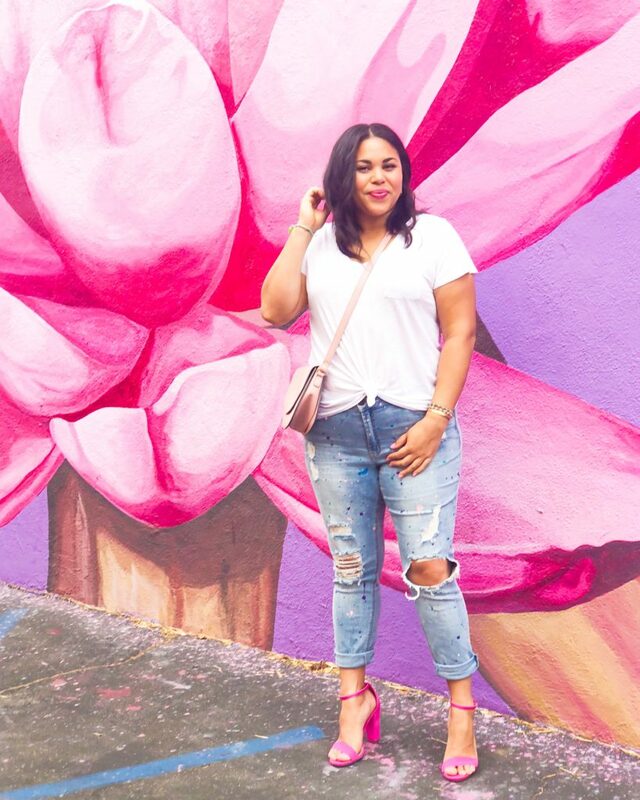 Style your jeans with your favorite t-shirt, sweater or body suit and get to strutting! 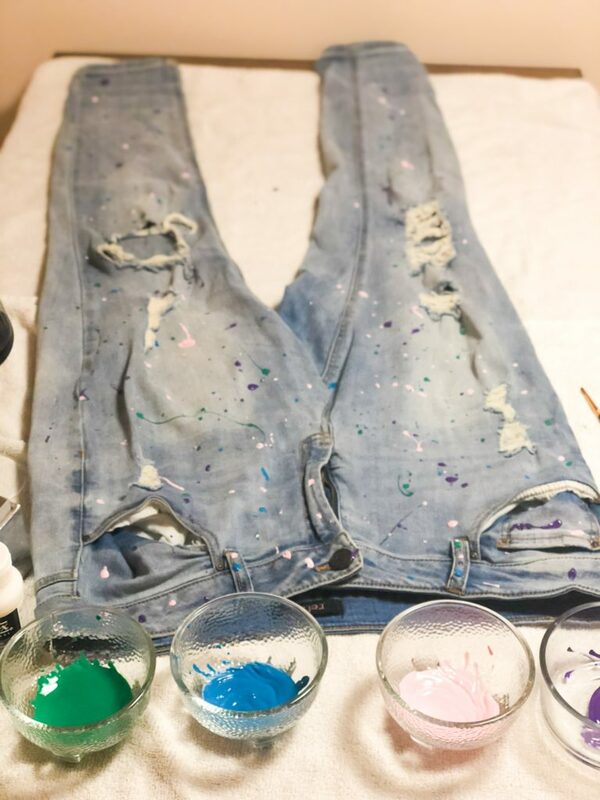 Paint splattered jeans are very on-trend, and can be a fun way to brighten up your fall and winter wardrobe. I couldn’t believe how easy and affordable it was to create these! If you follow this tutorial, please share it with me by tagging my Instagram @roseandchambray, or email me your pics to roseandchambray@gmail.com. I can’t wait to see your jean transformations!